What have been the major learning points for you in your debut year as Head of BMW Motorrad Motorsport? We are all learning together. We have two very individual riders who demand different things in order to get the best performance on track, so we work very hard to give them the tools they need to do the job. We are also constantly striving to become more competitive, but the problem is that everybody is attempting to do the same thing, so it’s a real race in terms of development and a matter of who can develop the fastest and move to the front. How proud is everyone at BMW of the success of the RR in the marketplace? Everyone at BMW is very proud in what we have created. The RR was a step into a very unknown area for us – sports bikes – where the likes of Honda, Yamaha, Suzuki and Ducati have dominated for the last 20 years. We wanted to build a bike that you could instantly ride – regardless of your ability – and feel comfortable in doing so. This motorcycle incorporates all the technological ingredients like traction control and ABS to make you feel at ease with the machine, despite the engine power, while still appealing to advanced riders because of its outright performance. In my opinion BMW created a very special motorcycle. What has been your measure of just how good the series production RR actually is? We assess the success of the RR though both sales figures and track performance. In its first year on sale the RR won 14 national championships, which is a truly amazing feat. We also entered the WSBK championship as it is the ultimate test for any production motorcycle and it is important that RR customers see their bike being tested and developed on track. As regards sales figures, we knew we were stepping into a new segment and one which has been decreasing in size over recent years, but we still managed to become market leader in most countries around the world. Is there a more competitive racing series on the planet than WSBK? This series is undoubtedly tough; we stepped in three years ago with a brand new machine and team, to try and challenge manufacturers and teams that have been in this paddock for the last 20 years. For sure we are still playing catch up and have made clear progress, but so has everybody else. We need to continue working to improve the package we have and develop our knowledge so we can be out there winning races. But you must be pleased at how quickly the BMW teams have become competitive? Everyone working on this project has been working very hard to try and develop and progress at a rate so we can challenge at the highest level, but every other team is also raising its game, so it’s not easy. We have found that our bike and riders seem to adapt better to some tracks rather than others and now we are working on making the bike work regardless of the track layout or rider preference. So yes we have done a good job but we have big expectations from this project, so I am pushing to ensure we continue to work harder than ever until we reach our goals. Will future RR owners benefit from improvements made directly due to racing activities? We work with all areas of the series development team and always feedback detailed information. For example, we often speak with project managers and those responsible for the chassis, engine, electronics and ignition, and relay our findings so the next generation of products benefit from what we have discovered. The racing environment naturally tests all our components to extremes, so this information gets funnelled back into the team. It is our job to ensure that the RR evolves, and passing on information is a key factor to ensure that happens. An RR is a serious track tool. Would you advise owners to consider training to get the most from their machines? The RR is designed to be very forgiving and safe but in order to enhance your own personal performance I think advanced training can be beneficial. 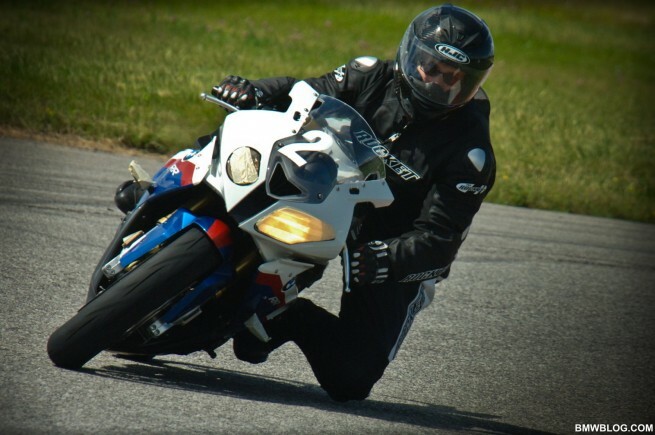 If you go to a school and learn how to develop your current level of riding ability then you will unlock so much more potential in yourself and the bike. Tuition and practice will definitely make for a more satisfying RR experience. Next post BMW Motorsport completes successful DTM test at the Hungaroring.